This 34.5mm. 1950’s 14k. 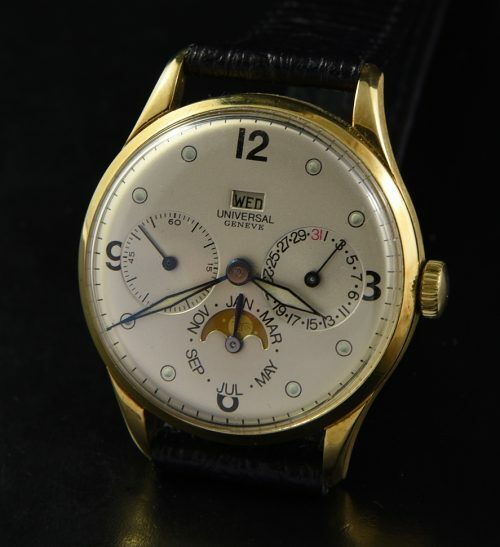 solid yellow gold Universal Geneve Triple Date Moonphase calendar is exceptionally clean. The dial was expertly restored to perfection. The diamond hands are correct to the watch. The moon phase aperture beautifully toned moon display is original U.G. factory print. The U.G. 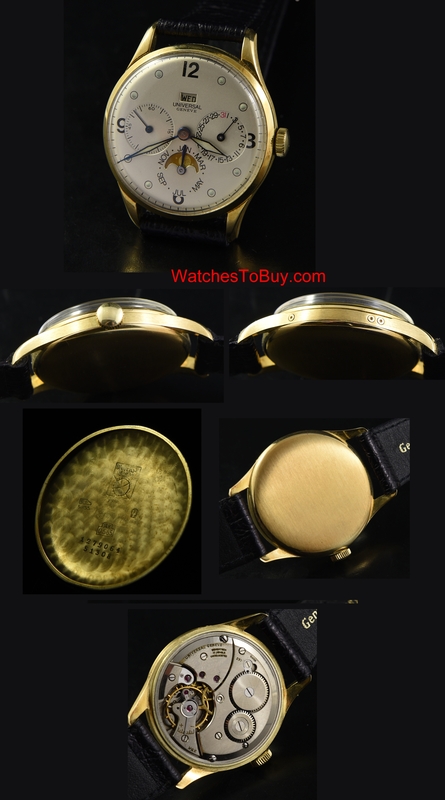 caliber 291 manual winding movement is accurate and all functions operating properly. The U.G. solid gold case is pristine. You are going to love this watch.